The first season of Junior Master Chef happened excitedly. The competition of the 8 candidates are intense. The ticket to the title of Junior Master Chef is still veiled. Mon Hue delightfully accompany with JMC in episode 06, aired on November 6th 2016. Three giant Banh Khoai - Special gift from Mon Hue. Banh Khoai (Hue Imperial Pancake) is one of the typical fried cakes of Hue. The aim of Mon Hue when bringing this cake to the first season Junior Master Chef 2016 is that we want to represent the featured Hue cuisine and also exhilarate the passionate flame for Vietnamese cuisine in these little talents’ hearts. To prepare for the gift, our chefs from Mon Hue were carefully from the process of selecting raw materials to ensure the freshness and safety standard of ingredients, being devoted to the typical sauce of Banh Khoai – the soul of cake. They also carefully and sophisticatedly cooked these 3 giant cakes. With almost 30 chefs, more than 50kg of ingredients and taking hours for 3 two-meter diameter Banh khoai. 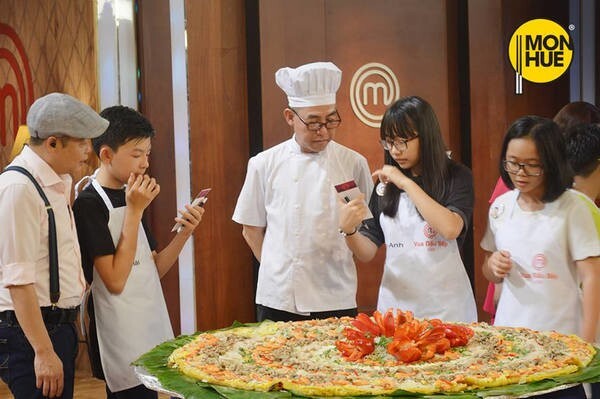 Besides, with other impressive factors, Mon Hue is proud to contribute to Junior Master Chef to promote the Vietnamese cuisine. Photo 1: Three giant Banh Khoai from Mon Hue. 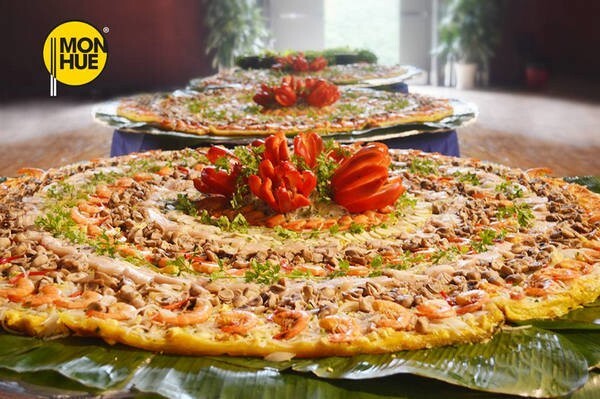 The Giant Banh Khoai – The surprise for 3 famous judges and eight talented contestants. Mon Hue are extremely happy to have succeeded in creating the surprise and excitement to the judges and contestants. Three giant mouthwatering Banh Khoai, the cake filling was prepared harmoniously; the fresh vegetables and featured brown sauce made the dish extremely eye-catching. Photo 2: Chef Hung-Mon Hue’s Chef take the position of guest judge. The finalists were totally focus on the contest of guessing ingredients of Banh Khoai. The playful, curious and anxious facial expression when trying to make the correct answer in combination with lively discussions from the judges made the kitchen space of Junior Master Chef exciting. 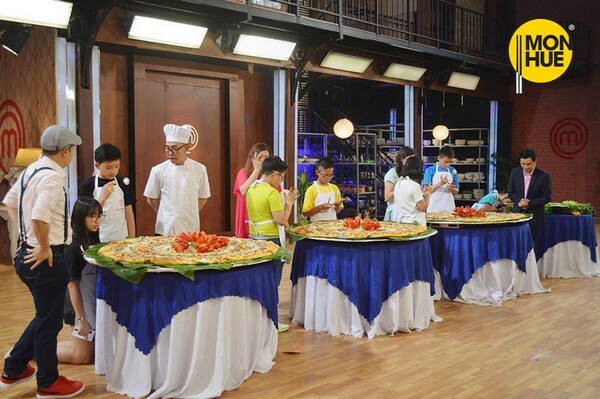 Photo 5: Banh Khoai theme can challenge the contestants? Mon Hue and Junior Master Chef – dream of nourishing the future talented chefs of the Vietnam. Mon Hue congratulates on the victory of the contestants in the challenge guessing ingredients of Banh Khoai. Besides, Mon Hue is proud when meeting the 8 potential talented chefs of Vietnam. We delightfully wish all the contestants best luck with the next round of Junior Master Chef season 1. 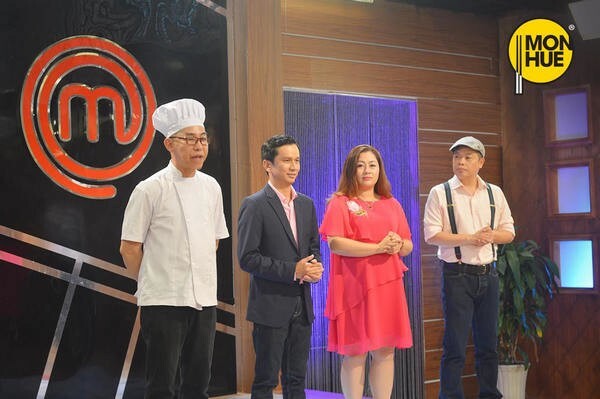 Mon Hue and the audience will eagerly look out for the finalists of Junior Master Chef.